Visually, Catalyst is a treat. Glass is a beautiful world of colorful rooftops, angular architecture, and hidden surprises. It doesn't feel diverse enough in the early stages of the game, but it does eventually open up to show off new environments that are astounding and unexpected. The draw distance is awesome; the textures are crisp; the physics work; the characters have weight and realistic movements; and the changes between day and night are downright stunning. Unfortunately, there isn't a lot populating it. Sure, you don't expect many people on the rooftops, but there are so few people in Glass that you wonder how it can possibly function as a metropolis. You can see some people hanging out on the ground far below, cars driving by, and things flying in the air just out of reach, but even when you go inside buildings or make your way to the ground level, you just don't encounter many civilians. The few you do meet are either guards, cookie-cutter models of fellow runners (I think there are maybe a whopping four different character models), or mission-specific characters who never move from their location. It all lends an eerie, vacant, almost haunted feel to the entire city, when it should feel like a bustling playground. I can think of no other open world game that is as empty as this, not even Red Dead Redemption, which mostly takes place in the middle of the desert. Sure, civilians would make it harder to get into a parkour flow, but I don't think that's an insurmountable obstacle for the game designers. You could easily use one button to dodge people or shove them aside as you run without losing any momentum. Then there's the load times. On one hand, it is an amazing accomplishment that there are no loading screens when you are freely traversing the world. There isn't even any lag. 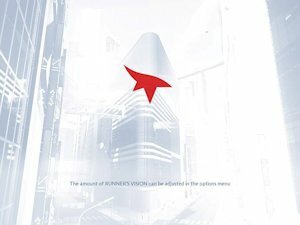 However, every time you die or fail a mission (which is often), you are forced into possibly the most boring loading screen outside a blank one, and it is painfully long. 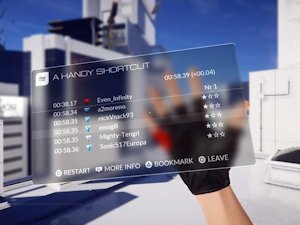 If you're doing a tough run that only lasts thirty seconds, you will probably spend three or four times more time watching the loading screen than actually running. For a game that prides itself on flow, that's horrific. On the plus side, the cutscenes are a vast improvement over the previous game's cartoonish nonsense. Voice acting is also much improved, though there are a few actors who do better than others (and if I hear anybody say, "What's the beat?" one more time, I'm liable to punch my television screen). 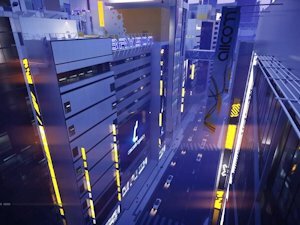 The soundtrack is minimal and ambient, and the overall sound design does a lot towards making you feel like you're running through a multi-textured city. Not that we know much about them here at SGR, but aren't leaderboards supposed to be more detailed than that? Though this game is a single player experience, it forces you to log into the EA servers and constantly reminds you that there are utterly useless "Beat L.E." markers and custom-designed time trials that other players have placed in the world. Probably my favorite moment of unintentional irony happened right at the beginning. I spent ten minutes logging into my EA account and agreeing to various corporate fine print agreements before being launched into a game about the loss of identity in a cold, corporate world. Still, these nitpicks are minor, on the whole. It's still a single player game, after all, and you are free to ignore the time trials, "Beat L.E." markers, and dumb social awards if you want. They are really persistent, though. 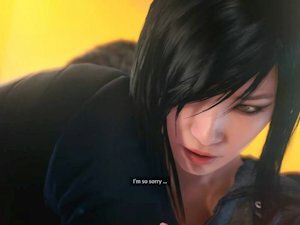 Mirror's Edge Catalyst is a mediocre effort for something that spent the last eight years in development. I'd be far more forgiving of the game's flaws had it been released in 2010, because it is a vast improvement over the original game. The freerunning is incredibly satisfying and fun, once you have the proper upgrades. Unfortunately, it feels timid and stubborn in its choices; the plot is just as weak if not weaker than the original, despite a stronger protagonist; and it is years behind the standard when it comes to open world game design. Fans of the parkour style of the original should definitely check this one out, but other gamers can safely give it a pass. I sincerely hope they take a third crack at it, though, because I still believe that a first person freerunning open world game can work, and I do believe Faith deserves a better story. EA DICE just hasn't nailed it down quite yet. The parkour is better than the original by leaps and bounds, but the open world falls flat.